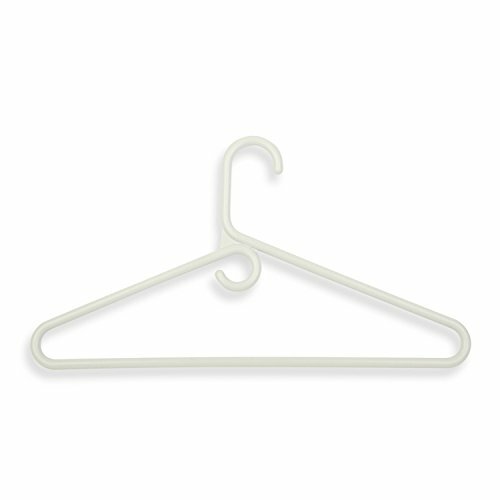 Perfect for jackets, pants and shirts, this heavy weight (86g) plastic hanger is versatile. The large rod hook is designed to fit over any standard sized closet bar. An integrated accessory loop keeps scarves nicely in place or hook an additional hanger in the loop to keep coordinating pieces together. A big help in the laundry room, these hangers are also great for air drying delicates. Sold in a pack of 18. Color: Light-Gray. Size: 15.75” x 7.87”.